Biomedical engineers have developed a smartphone app for the non-invasive detection of anemia. 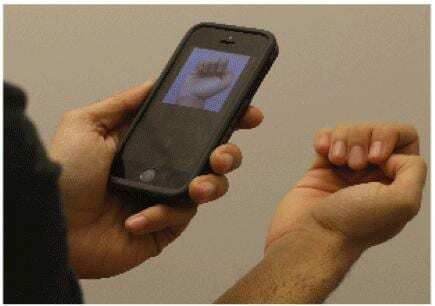 Instead of a blood test, the app uses photos of someone’s fingernails taken on a smartphone to accurately measure how much hemoglobin is in their blood. Lam is associate professor of pediatrics at Emory University School of Medicine, a faculty member in the Wallace H. Coulter Department of Biomedical Engineering at Georgia Tech and Emory, and a clinical hematologist at the Aflac Cancer and Blood Disorders Center of Children’s Healthcare of Atlanta. Mannino and Lam say they are working with a variety of doctors at Emory and Children’s — geriatric, internal medicine, neonatologists, transfusion medicine, global health — to obtain additional data and better calibrate their system.